Through Transformative Education, Programs, Media, and Events. to be invited to our next virtual training plus receive three FREE transformational gifts. You have signed up for our free Catalyst e-zine. Enjoy an awake and fulfilled life of joy and service with expert guidance from the top transformative teachers on the planet. Through our courses, you have access to powerful trainings to take all aspects of your life to the next level. Let our renowned teachers, healers, experts and spiritual masters support you to live your potential and serve the world more fully. We create transformative events to help you live an extraordinary life and give your greatest gifts. Whether it’s an hour-long virtual class, an online conference or an in-person retreat, we’ll support you to uplevel all aspects of your life and be empowered to create a better world. Join more than 800,000 people from 159 countries who have taken part in our offerings in Spirituality, Personal Growth, Holistic Health & Wellness, Psychology, Shamanism, Enlightened Business, Relationships & Parenting, Social Impact, & much, much more. In our commitment to shifting toward a planet that is healthy, sustainable, peaceful, and prosperous for all, we are striving to make an impact on multiple fronts. What sets us apart from most transformational education companies is that our content does not focus solely on your personal transformation but also on how we can shift our world in critical areas and in innovative and inspiring ways. Along with featuring a vast array of free transformational content, we give away hundreds of thousands of dollars in scholarships each year for our in-depth trainings. In addition, we give a substantial percentage of our annual profits to charitable organizations and have allocated a significant amount of company stock toward nonprofits that are profoundly shifting our world. We strive to be a great place to work, one that values employee wellness, growth, and community service. Access videos and interviews from our team, our faculty and thought leaders from many diverse fields that will deepen your learning, accelerate your evolution and boost your impact in the world. We welcome you to visit our Customer Support & Help Center here. You’ll find answers to frequently asked questions and helpful articles about our courses, summits, retreats, and events. 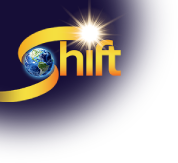 You can also submit a Help Request to connect with one of our friendly Support Specialists or you can also directly email us at support@theshiftnetwork.com. We’re happy to help! Sign up for our free Catalyst e-zine, updates, and special event notices. Your information is safe with us! We’ll never share or sell it, and will use it to send you notifications and other related information from The Shift Network. Each email we send contains an unsubscribe link for your convenience.